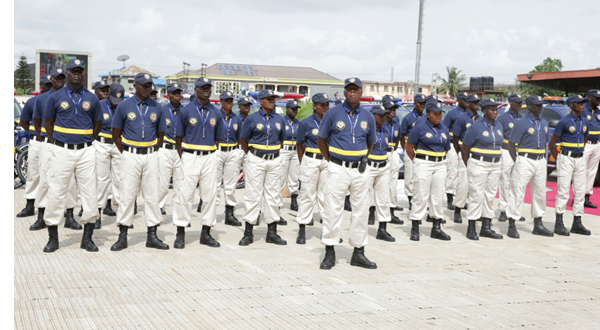 Contrary to some information in the public domain, the Chairman of Lagos State Safety Corps (LNSC) Mr Israel Ajao has said that salaries of staff have been paid up to date. It will be recalled that the House had on April 3 ordered the agency to give account of its operations since establishment March 27, 2017. Ajao told journalists after appearing on the floor of the House that the agency has performed wonderfully well within a short time in the areas of training, inauguration and operations. He added that they work with the police, complement their efforts and assist them with information either to prevent crimes or arrest criminals. “We have made several arrests of armed robbers, from whom we recover gun and ammunitions even without carrying gone, we also arrested cultists, fraudster and murderers,” he said. Ajao said that there was no delay on salary payment, and that the batches 1 and 2 that started work April 1, 2017 had been paid till date. He said that some people, who claimed to have undergone training but had not paid were lies as, according to him, they had not been given employment letter or deployed anywhere. “Anybody you see without the LNSC uniform is not working for the agency yet. I can’t send people out to go and tackle criminals without uniform. “The LNSC is like a company that’s oversubscribed. It has become so successful that almost everybody is interested in working for it. “You can’t just say you have done training for three days and you are now a neighborhood. “There is a procedure after training, you must be verified, there are conditions for eligibility after three days training. “I don’t know why some people are peddling rumours instead of coming to find out the truth. How will you be working without uniform. You have not been cleared, given a letter of appointment,” he said. The Speaker of the House, Rt. Hon. Mudashiru Obasa had earlier informed the authority of LNSC that the House loved the corps and the people of Lagos. Obasa stated that it was based on the that the summon the leadership of LNSC to know the successes and challenges confronting them so that the lawmakers could ask them questions. Responding to questions of the lawmakers, Ajao, who commended the House for its interests in community safety, said that Governor Akinwunmi Ambode gave the agency permission to appoint 5,700 people at inception. He added that the agency was given days to train the applicants for batches 1 and 2 in 2017 and post the officers to all the 57 council areas in the state. He said that the corps never came to struggle with the police, but to bridge areas where police did not cover. He said that 171 patrol vehicles and 4000 bicycles were given to LNSC to ensure grassroots policing. Ajao, a former commissioner of police in Lagos and former deputy inspector general of the Nigerian Police, said that the agency had four cardinal goals which were representation, participation, accountability and Eye visibility policing, saying all the employed have been trained on these four key goals as they go to their beats. The LNSC boss said that he got orders from the Governor to meet with traditional rulers, religious leaders and artisans and others such as police on the way forward until the issue was resolved. “We worked day and night to address grassroots insecurity, we are not resting on our oars. “We have met and are meeting with all community stakeholders such as Community Development Areas (CDAs) and Community Development Committees (CDCs), who have been calling us to give us intelligent information. “We have been clamping down on people in possession of items that aggravate crimes in the society Rather than crimes increase in Lagos, it is reducing with a lot of advocacies being carried out,” he said. The chairman highlighted several achievements of LNSC ranging from arresting kidnappers, cultists, robbers and others. On the challenges facing the corps, Ajao said that lack of gun had been endangering the lives of the officers as many had been wounded and injured by criminals in the course of their operations. “We have so many challenges, which are not logistics, but criminals who take advantages of absence of ammunitions to attack our men and injured them while one has been killed. “If we don’t do something to this, it will cause discouragement, however, we have started reorientation of our men never to be discouraged as police who carry arms also suffer injuries. “The most serious challenge is stabbing and injuries suffered by our members while other challenges are being tackled in house,” he said. The chairman, who said that only April salaries had not been paid to batches 1 and 2 employees, said that batches 3 and 4 were just being engaged and their salaries would commence at the end of the months. Ajao revealed that many applicants presented fake certificates, and that a consultant had been engaged to carry out the certificates verification. According to him, out of nine certificates of applicants sent to Olabisi Onabanjo University (OOU), eight were found to be fake results. Ajao told the lawmakers that the investigations and verifications of the batches 3 and 4 and their salaries of the employable will be paid. “On those who claim to be in possession of statement of results, when we found out. In fact, we even allow them to present their graduation book to see their names,” he added. On allegations of dismissals, Ajao said that the victims must either possess fake certificates, or too old for the task, or physically impaired as well as limited number of people to be employed.